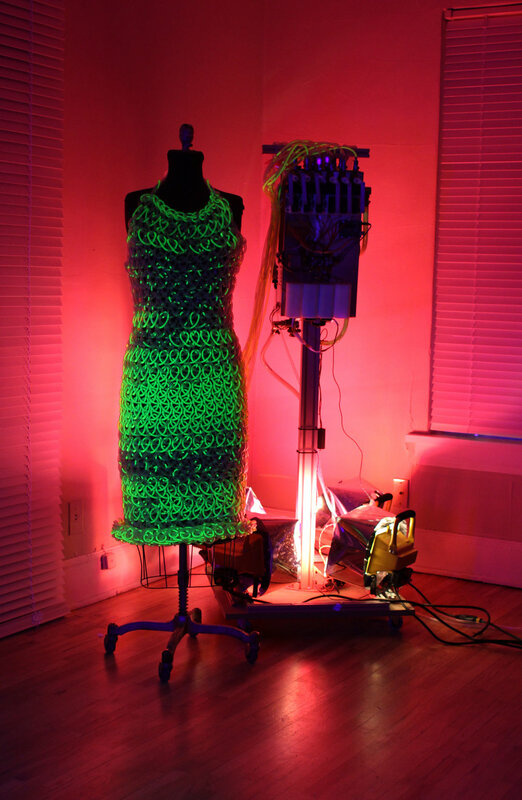 The Fluid Dress is knit from hundreds of feet of clear plastic tubing. The backpack propels and controls the liquid & air that stream through the tubes. 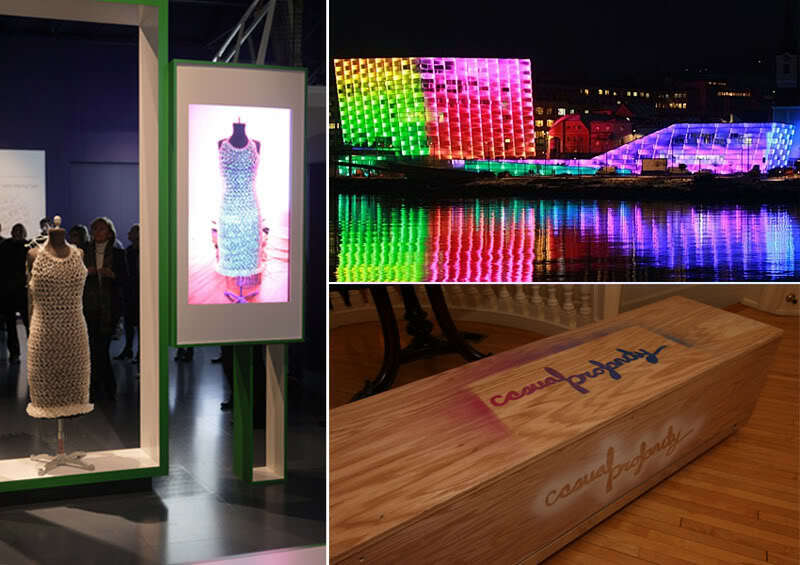 The dress was exhibited in the RoboLab at Ars Electronica and featured in the "What Machines Dream Of" exhibition at Volkswagen Unter den Linden in Berlin.